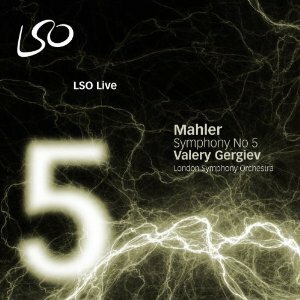 You wouldn’t expect anything less than the best from the LSO and Gergiev when it comes to Mahler 5, which is just as well given both the quantity and the quality of the competition this recording finds itself up against. On the whole it is up to those expectations, it is a consistently engaging account, distinguished above all by the quality of the orchestral playing. Gergiev gives a typically full-blooded account, but with episodes of real tenderness as well. It's not going to knock the classic recordings off their top perches, but given its budget price tag, it's certainly an attractive option. The first movement is the most intense. It is also the best played. The unity of the string section here shows just why the LSO is considered a world-class orchestra. The brass sound great too, and Philip Cobb on principal trumpet deserves a mention for his opening solo and for the various other interludes where the orchestra drops away leaving him to play more or less alone. Gergiev manages an impressive balancing act in the first movement by maintaining the driving intensity throughout, but without straining the credibility of the individual phrases and passages. In the second and third movements, he eases back and concentrates even more on those local details. This comes as quite a surprise given his reputation for drama at all costs, but there are many passages in the second and thirds movements where the orchestra could clearly be giving him more, but he refrains. This improves the overall architecture, in that it allows the outer movements to tower over what comes between. On the other hand, the dramatic contrasts within these two movements are also diminished, and the scherzo in particular suffers a distinct lack of tempo and dynamic contrast. Gergiev clearly has no time for a those newfangled ideas about taking the Adagietto at a brisk pace, and his recording comes in at a fairly traditional 10:35. It is a great reading though, wonderfully fluid in its tempos and with a plaintive lyricism throughout. The finale, too, is given a fairly traditional reading. There is less rubato here than you might expect, and Gergiev seems intent to maintain the momentum throughout rather than accentuating every climax or introducing any jarring gear shifts. As with many of the previous LSO Live releases, the sound here is good, and is only deprived of greatness by the flat acoustic of the Barbican Hall. The sound is actually quite warm, so perhaps a little digital reverb has been brought into play; it would certainly be justified. But there is little that can be done in post production about the lack of textural clarity that the acoustic imposes. In fairness, this is only really a problem in the louder tuttis, and given the complexity of Mahler's contrapuntal textures, there is no point in expecting miracles. In some of the quieter passages the sound quality does bring out valuable details. The pianissimo bass drum rolls in the first movement, for example, and the delicate interplay of mid range woodwinds in the third. Not a bad instalment, then, for the LSO Mahler cycle. Gergiev has moments of real inspiration, but on the whole delivers a fairly conventional Mahler 5. The sound approaches the highest audiophile standards, but can't really complete with the best of them. Given that it is an orchestra own-label release, it is fitting that the highest accolade should go to the orchestra itself, whose phenomenal playing, especially in the first movement is the most compelling reason to buy the disc.